Gacha Bakradze - Word Color. Vinyl LP. Bleep. Lapsus Records (Pye Corner Audio, Wooky) presents a mini-LP from Transfigured Time boss Gacha Bakradze. 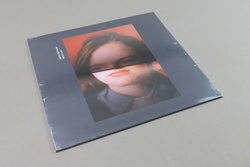 The Georgian producer has impressed in recent years via his releases for Apollo, Best Works and the aforementioned TT, but Word Color stands as perhaps his boldest statement yet. The nine tracks here push the producer’s sound further than ever while simultaneously standing as some of his prettiest, most melodic work. The likes of ‘The Prayer’ and the title track see the voracious experimentalism of IDM and glitchtronica combining nicely with techno and downtempo club rhythms. Elsewhere ‘Leaf’ and ‘Oneself’ see the bleeps and bloops dissolve into beautiful ambiences. It’s a record not dissimilar to the best work by Mouse On Mars.